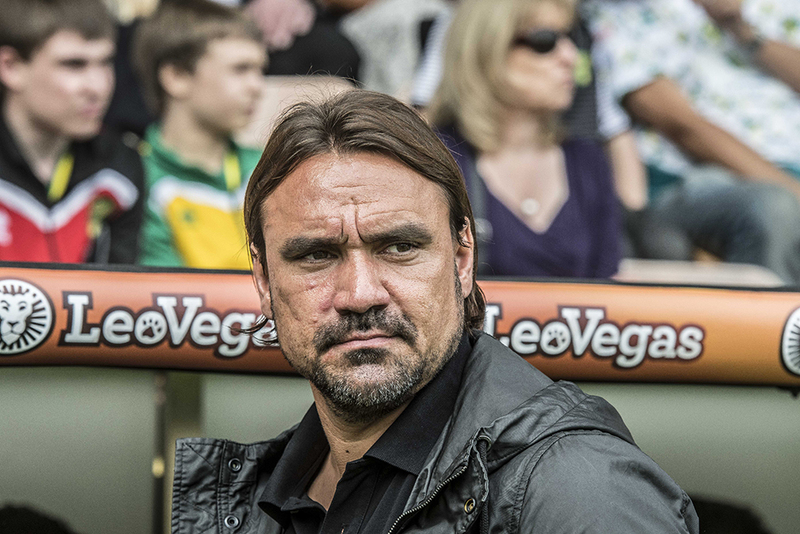 The perceptions of Daniel Farke’s second term in charge have radically altered. Earmarked as a season for progression and improvement, it was pivotal that Norwich began the season positively to ensure he maintained the support of a Canary Nation who had remained patient throughout an underwhelming debut season. This past week has seen glimpses of potential transcend into consistent performances and as a result, the mood music being shifted up a level. If you want to raise the level of optimism even further, then add in Farke’s deployment of younger operators, which was both ballsy and astute, and provided City with an equilibrium that wasn’t present beforehand. He has received criticism from most quarters at differing points within his tenure, and rightly so, at points. Undisputable, however, is his ability to improve individuals. He was a critical figure in youth development at one of Europe’s biggest clubs; there are few better coaches for the likes of Jamal Lewis, Max Aarons and Emiliano Buendia to be working under right now. Even with an experienced and seasoned operator like Alex Tettey, improvements to his game have been witnessed. Tettey has been more forward-thinking thus far this campaign, both in terms of his positioning and distribution of the ball. His defensive position has been more offensive, attempting to push Norwich into the opponent’s half – evident at QPR and Reading. Tettey has also been integral to breaking the press of opponents by occupying a space between the opposing strikers and midfield, allowing us to break the initial trigger of the press. ‘You can’t teach an old dog new tricks’ is the cliché; City’s coaching staff are disproving that theory. The fact Farke and his coaching staff can improve a 32-year-old is almost unprecedented and speaks volume about their ability on the training pitch. Tettey is just one example. Hours of hard graft and subtle tactical tweaks at Colney are beginning to bear fruit on the pitch. As opposed to playing safe – square passes directly to the feet of the full backs which invites pressure from the opposition – now City are placing the ball in front of them. Naturally, that forces the team forward. This has been coupled with the new-found central emphasis they have put into their game since Onel Hernandez’ injury. The inclusion of Todd Cantwell has seen Norwich’s midfield become more compact with young full-backs Jamal Lewis and Max Aarons providing the energy and athleticism in wide areas. When you add in the factor of Teemu Pukki being able to run beyond opposition’s back line, that makes City a more fluid and multi-dimensional outfit, capable of playing in front, down the sides and in behind. Considering the rising levels of intolerance towards his style of football, Farke has found remedies for his team’s inefficiencies that have made his team both more balanced and offensively capable. Anyone who was present among the travelling contingent at Ipswich will recall the vocal frustrations of supporters when their side were 1-0 down. Farke wasn’t the most loved person in Norfolk. He deserves praise for sticking with his principles but also being adept enough to recognise that his preferred style of play did require work. Since the international break, Norwich are unbeaten and looking increasingly more impressive as they dictate the rhythm of games. That opening period at QPR signified how Farke wants his team to operate, on the front foot, operating with tempo and fluidity while ensuring they have a cutting edge up front. This optimism comes with caution however as, at present, this is merely an upturn in form over a short period. If Norwich can really be considered to have turned a corner, then this run needs to be transformed into a prolonged period. Consistency is key. Farke and his staff deserve credit. Positive performances were evident for spells in games but prior to the Middlesbrough game supporters were shown promising spells in nearly all but the Preston fixture. And the last three fixtures have displayed dominant spells for extensive periods in games. If City can replicate the level of performance witnessed in the last three league games, then they will win more than they lose. Maintaining that high level of performance in the long term is ultimately the difference between the best and the rest. Farke’s stubborn refusal to accept his philosophy isn’t adaptable to the Championship remains, but there has clearly been an acceptance that it needed tweaking and changing to cope with the rigours of this division. This run isn’t confirmation that everything is rosy once more, and if City return to consecutive losses then those questions asked prior to this run will emerge again. Level-headedness is key, but Farke deserves praise and his rallying cry around how he wanted his players to be the protagonists has been seen in the last week. This September does feel different to a year ago, one which was about steadying the ship after a drubbing at Millwall. City are now imposing their game onto their opponents while being proactive. Long may it continue and let’s make the most of the positivity. Superbly balanced piece well done Connor. 1-0 down at Ipswich for 5-10 minutes it looked bad… I was at the point where I thought he’d had enough time. Credit where it’s due though we look more dominant and the site of our homegrown delivering for the 1st team is a sight to behold. Webber must also take credit our recruitment certainly looks to be starting to yield results…. in my experience recruitment is a numbers game 50% work 50% don’t however the more effort you put into in the higher the success rate and at the moment it looks like we are ahead of the curve. We need to kick on now, do that and i’ll genuinely start to believe we have turned a corner. Very good summation of the current situation Connor, if a little optimistic. We had a very good performance against Middlesbrough then beat two very poor sides in QPR and Reading and scraped past a lower division side in the cup. Don’t get me wrong here, Farke has earned his reprieve from his 8 game trial for me but just as everything should not have been laid at his door when we struggled now is not the time to swing in the other direction. I think the next two games will demonstrate how far we have come in this season. I may be as over cautious as you are optimistic but that doesn’t mean I am not enjoying it. “Undisputable, however, is his ability to improve individuals. He was a critical figure in youth development at one of Europe’s biggest clubs; there are few better coaches for the likes of Jamal Lewis, Max Aarons and Emiliano Buendia to be working under right now. Undisputable? OK on face value if you cherry pick I’d agree. But I wonder if: Wildshut, Watkins, Naismith, Godfrey, Oliveira, Murphy, McGovern, Husband, Martin and others would agree? He maybe improving some players at a faster rate than others might, we don’t know for sure, we cannot. Was Cantwell’s time before Farke and co’s arrival and his time at Fortuna more influencial than Farkes teams time coaching him? Are some of the others just well suited to his footballing style? Tettey for example. The game is littered with players that have looked bang average in the wrong team only to be spectacular in another. Were they suddenly coached better or worse or played to their strengths in the right system for them. Examples would be Bradders for that season before going to Derby to then be seen as overpriced and average. Widshutt the other way, good for wigan, terrible for us. Holt everywhere, but under Lambert a revalation. Maybe Farke is good at developing youngsters, but undisputable? not for me. A fair point. Whilst Farke deserves huge praise for placing the trust in the youth players, that ignores the hard work and dedication of the players, coaches etc that went in before. It implies that Farke has some kind of a magic touch. Maddison, for example, was touted with some of the top six clubs before we signed him at the last minute. Farke wasn’t wholly responsible for turning him into the player he is, he just simply him the chance of first team football. For me, it makes me wonder what could have happened if previous managers (and managers all over the country) could have had the same courage. The youth cup winning side springs to mind. Tettey was widely criticised a few games ago. Again, Farke deserves credit for the upturn in form, however sometimes things just ‘click’ – I guess similar, in a way, to how things weren’t quite going our way before. I think the key point was improving the young players. It’s unlikely Lewis & Aarons would have come through so quickly He sent Cantwell & Godfrey out on loan which I think most would agree has helped them. As for the others. He brought in Buendia and of the players you list, Husband was the only other one of his. Finally, Maddison was certainly happy with Farke & Murphy impressed enough to get into the Premier. One thing I’d say is that our business model dictates that we have to bring youth through. Right now there’s a decent pool and they’re doing well, so it’s worked out for everyone. I think it’s unfair to suggest Farke is better at bringing youth through compared recent managers. That wasn’t other managers’ goal. The previous four managers all had PL money and an edict to stay in or return to the PL. Farke’s is to prep kids for sale to keep the boat afloat. Very well reasoned piece and a good read Connor. Sure we’re not the finished article but the improvement of Tettey (even at 32 and with self-confessed dodgy knees) is indeed a tribute to Farke and possibly the most salient point you make. I’ve finally got to the point whereby I’m REALLY looking forward to games again. I’ve not been fortunate enough to have gone to any of the recent away fixtures so I’ve only personally witnessed Middlesbrough during our renaissance and I can’t wait for Wigan on Saturday. And to whoever made up the Only Fools and Horses tribute to Timmu Pukki is a better lyricist than me. Class! OK, so maybe you cherry-picked the Alex Tettey example, and I would possibly include the emergence of Marco Stiepermann and of course Zimbo as younger than Tettey, but hardly youngsters. However, his “failure” with the other older players mentioned could surely be down to the fact that (with the exception of Russell Martin), those in charge at the time rather over-paid for some very average (or below average) people. To those who doubt Farke’s work with younger players surely we only need to say James Maddison?? OK, he was an Alex Neil signing, but AN didn’t want to play him. Alan Irvine only saw him as a bench warmer, but under Farke he alone virtually carried us through last season, and he’s hardly looked out of place this season in the Premier League. Would any of our recent managers/head coaches other than Farke have given the likes of Lewis and Aarons game time, or signed someone like Buendia – who looks a real find to me??? 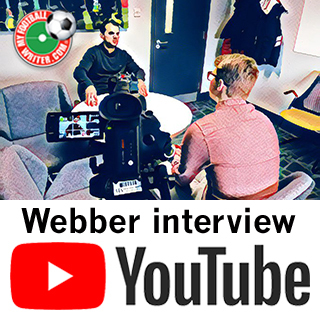 Webber and Farke have also found Tim Krul – give him a bit more time and he’ll come really good too. We are doing well with scant resources which is always a good sign for any club. I have always said that it’s the season after this that will define Farke and his team and I will not back down on that statement now. I’m reluctant to discuss the merits or otherwise of the ownership during the active season but Webber and Farke are making a bloody good fist of it. I thought Irvine gave Maddison his debut. Marco Stiepermann has improved because he is now being played in his correct position. I may well be wrong, but I don’t think Maddison started a game under Irvine. He was used as a sub almost as soon as Irvine was appointed. He didn’t start a game. He did come on as a sub multiple times and score (and was injured for some games too). He also played Godfrey. Strange forces have led to the bar for Irvine’s judgement to be set to “how many games did he start Maddison”, rather than looking at his astonishingly high win rate and thwacking of teams. -AN sent him on loan and would have extended that, In the cases of Godfrey and Cantwell people are saying thats great management to have improved them and got them ready to be involved in the first team. -AN was also in a very different position with a very different remit. He was charged with getting us back up at the first time of asking, with that comes greater pressure on him and the team. I think it legitamises a in theory less chancy reliance on experience. Plus the question would remain, were they ready? -Youngster can develop fast, who is to say that JM, MA or JL were ready for first team action at any stage before last season? or this in MA case? I think we all believe JM was but AN had his own remit and unique set of pressures. DF had no such pressures. Season 1, was slash wage bill, don’t get relegated….integrate youth (Mainly because they’re cheap, but also to legitamise the academy and Webber’s ethos) ……JM at this stage was ready for the managers relatively low pressure remit and as a maturing player. Do I think he could have saved AN job? Yes actually I do, I think he was ready earlier, but I also understand that AN was under pressure and it was a tough call and he and we can’t be certain JM was ready. I agree, JM only appeared from the bench under Irvine. But this is a common introductory transition. If JM had been so good, I think he would have started for Irvine, but an important transition. The turning point was Leeds at home. They showed us how to press without the ball. It wouldn’t surprise me if the training has had a lot of focus off the ball in recent weeks. We appear to be hunting in packs now, which was not so evident before that game. Long may it continue. Yet Southgate leaves him in the Under 21s!!!! He must have a surfeit of riches in the creative mid-field department for the senior team! !